Please see attached for this week’s polio report. Note that we do have one advance notice from Afghanistan, which will show on next week’s report if fully confirmed by then. Please read this week's global update slides as well as the weekly summary. Summary of new viruses this week: Afghanistan – advance notification of one wild poliovirus type 1 (WPV1) case and six positive WPV 1 environmental samples. Pakistan – two WPV1 positive environmental samples. Niger - one case of circulating vaccine-derived poliovirus type 2 (cVDPV2). See country sections below for more details. There is advance notification of one wild poliovirus type 1 (WPV1) case in Uruzgan province, Shahid-e-Hassas district with onset of paralysis on 9 October. Once confirmed (officially to be reflected in next week’s data), this will bring the total number of WPV1 cases in 2018 in the country to 20. Six WPV1 positive environmental samples were reported this week: two from Nangarhar province, Jalalabad and Behsud districts, three from Kandahar province, Kandahar district and one from Hilmand province, Lashkargarh district. Samples were collected between 26 September- 5 November. Nominal variations (up or down) in the number of newly-reported cases at this point of the polio endgame – although tragic for the affected children and their families – are not operationally overwhelming, especially considering the population size in the 3 remaining endemic countries (upwards of 90 million children aged less than five years). However, confirmation of even a single polio case anywhere points to remaining vaccination coverage gaps which must be filled, to achieve eradication. Over and beyond case numbers, the GPEI and its partners actively and continuously evaluate a wide range of epidemiological, virological, programmatic, operational, surveillance, financial and social data, the analysis of which drives strategic planning and enables target eradication efforts. 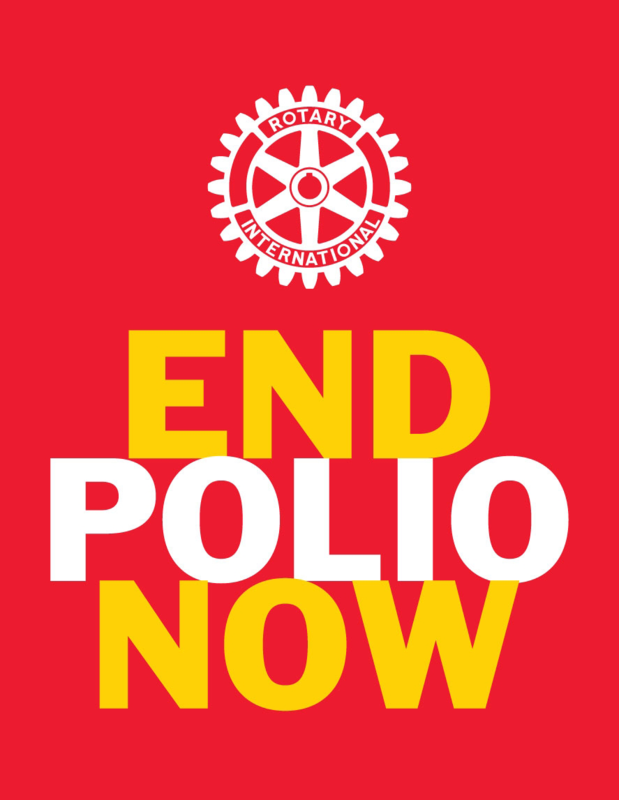 The three remaining endemic countries continue to intensify their eradication efforts, through implementation of national polio emergency action plans. Underpinning these plans is the data analysis, to identify area-specific challenges and reasons why children are being missed (ie due to population movement, inaccessibility, lack of infrastructure, inadequate microplanning, resistance, etc), and putting in place area-specific solutions to overcome those reasons. By clearly identifying high risk areas, teams are able to allocate and prioritize technical assistance to those areas. Afghanistan recently concluded a targeted national campaign. Read more here. Analysis in 2018 by both GPEI partners and independent technical advisory groups, reviewing all available evidence, concludes that the near-term feasibility of eradication is possible, if remaining vaccination coverage gaps are rapidly filled, and the GPEI and its partners continue to work towards this goal. The aim is to urgently interrupt the remaining strains of wild poliovirus transmission, not only to eradicate such strains in their own right and prevent their global re-emergence, but also to subsequently remove oral polio vaccines (OPV) from routine immunization programmes globally, to eliminate the long-term risks of vaccine-derived polioviruses (VDPVs). The ultimate aim of the GPEI is to secure and sustain a world where no child will ever again be paralyzed by any poliovirus – be it wild or vaccine-derived. No cases of wild poliovirus type 1 (WPV1) have been reported this week. The total number of WPV1 cases in 2018 in the country is eight. Two WPV1 positive environmental samples have been reported: one from Khyber Pakhtunkhwa province, Bannu district, and the other from Sindh province, Karachi district. Samples were collected on 26 October and 7 November respectively. It is important to note that cases are reported this year from only 4 districts across the country, and that no WPV cases (except one from Gadap, greater Karachi) have been reported from core reservoir areas in 2018. 20 years ago, the entirely country was affected by polio, and every year, more than 35,000 children were paralyzed for life by the disease. No cases of circulating vaccine-derived poliovirus type 2 (cVDPV2) cases were reported this week. Recent confirmation of spread of one of the cVDPV2 outbreaks, both within Nigeria and internationally, underscores the urgent need to fill remaining vaccination gaps in the ongoing outbreak response, and to optimize the geographic extent of mOPV2 response. One case of circulating vaccine-derived poliovirus type 2 (cVDPV2) has been reported in the past week from Zinder region, Magaria district. There are eight total number of cVDPV2 reported cases in 2018 in Niger, which are genetically linked to a cVDPV2 outbreak originating in Jigawa, Nigeria. The virus was isolated from children with acute flaccid paralysis (AFP) from Zinder region, located in the south of Niger and on the border with Nigeria, with dates of onset of paralysis ranging from 18 July through 7 September 2018. · WHO and its partners are continuing to support local public health authorities in conducting field investigations and risk assessments to more clearly assess risk of the identified cVDPV2 and to conduct additional response measures as appropriate and necessary. · WHO is supporting the Ministry of Health to strengthen the risk communication and community engagement. No cases of circulating vaccine-derived poliovirus type 2 (cVDPV2) were reported this week in the Democratic Republic of the Congo (DRC). DRC is affected by three separate strains of cVDPV2, in the provinces of Mongala, Maniema and Haut Lomami/Tanganika/Haut Katanga/Ituri. Following the Kinshasa Declaration for Polio Eradication in July 2016, the two large scale vaccination rounds implemented during September and October 2018, demonstrated better vaccination quality. Planning is underway to maintain the gains made so far and maintain population immunity as well as sensitive surveillance across the country. polio outbreak response is being conducted simultaneously to an ongoing Ebola outbreak affecting North Kivu province, in the east of the country (close to provinces affected by cVDPV2). As in the past, the polio teams are coordinating closely with the broader humanitarian emergency network, to ensure both outbreaks are addressed in a coordinated manner (as was the case during the recent Ebola outbreak in Equateur province, which was successfully stopped). Partners of the Global Polio Eradication Initiative will continue to support authorities across the country, to ensure that this new level of commitment rapidly translates into operational improvements on the ground. Circulating VDPV2 has also been detected during 2018 in one environmental sample in Kenya. Outbreak response to both virus types is currently being implemented in line with internationally-agreed guidelines. Large-scale supplementary immunization activities (SIAs) have been implemented in Banadir, Lower Shabelle and Middle Shabelle regions, Somalia. Another vaccination round is planned during end-November as part of the ongoing outbreak response, to further enhance the population immunity in the highest risk areas. Special surveillance activities continue to be undertaken to determine the origin of the viral circulation. No new cases of circulating vaccine-derived poliovirus type 1 (cVDPV1) were reported this week. The total number of cVDPV1 cases in the country in 2018 is 25. Three Supplementary Immunization Activities (SIAs) of expanding scope have taken place since late July, from three provinces to nine, to nation-wide. The most recent was aimed at children under the age of 15, due to large numbers of poorly-immunized older children. Detection and reporting of new viruses or cases at this point in the outbreak response is not unusual or unexpected, as surveillance is being strengthened and most reported and confirmed cases had onset of paralysis prior to the start of comprehensive outbreak response. No cases of circulating vaccine-derived poliovirus type 2 (cVDPV2) were reported in the past week in Syria. The total number of officially reported cVDPV2 cases in Syria in 2017 remains 74. There are no cases reported in 2018. The most recent case (by date of onset of paralysis) was reported in Boukamal district, with onset on 21 September 2017. Efforts are ongoing to maintain sensitive surveillance for polioviruses. Read the latest polio update from Syria to see information on cases, surveillance and vaccination campaigns.